Land reform: Where is research to back up 92% 'failure rate'? Is there one clinic for every 17 000 people in SA? Does the DA keep to the facts? In the last instalment of our fact checks of manifesto claims, it’s the official opposition’s turn. 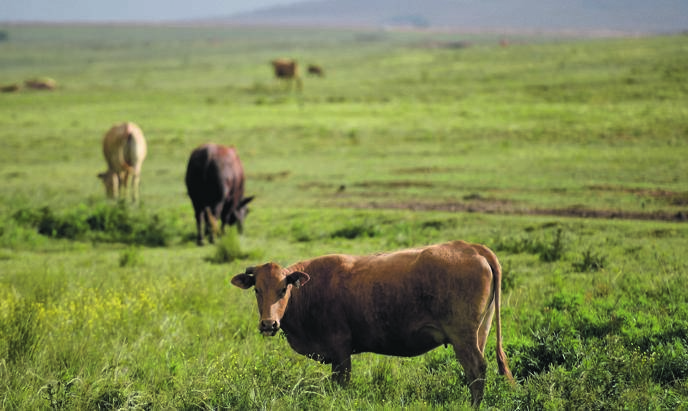 Claim: The Western Cape’s land reform audit found that the provincial government’s pioneering commodity approach, and through innovative solutions like the share equity schemes, had led to the success of 62% of all land reform farms in the Western Cape. The audit, which covered the four years from April 1 2009 to March 31 2013, set out to determine whether a sample of land reform projects in the province was successful. DA spokesperson Solly Malatsi told us the latest audit report, covering 2014 to this year, was not available when the manifesto was compiled. The 135 projects that were rated as successful or unsuccessful represented just more than half of the 246 provincial projects assisted through two farmer-support programmes. These programmes – the Comprehensive Agricultural Support Programme and Ilima/Letsema – are funded by national government and implemented by provinces. Eighty-four of the projects were deemed successful as they scored between 53% and 100% based on 39 criteria. These included the ability to feed the household, whether the project was viable or profitable and whether the farm was used to its full potential. “Successful” projects made up 62% of the sample of 135 and not of all supported projects. What proportion the 135 rated projects make up of all land reform farms in the province is not known. How many land reform farms? As the DA’s claim relates to farms and not projects, we asked the Western Cape government if the two were synonymous. Bianca Capazorio, spokesperson for the MEC of economic opportunities (which includes agriculture), said: “Technically, they are not the same thing. A land reform project is a project that is on a land reform farm. Capazorio could not say whether the 246 projects from which the sample was selected represented all land reform farms in the province at the time. She could also not say how many land reform farms had been redistributed in the province since 1994, saying that land reform was the mandate of the department of rural development and land reform, which “is also the record keeper”. The summary report on the audit, by urban and rural development planning company Kayamandi Development Services, identifies commodity support as a contributing factor to the success of land reform in the province. However, no mention is made of equity share schemes, which was a key success factor mentioned in the DA’s claim. Did only 51% of children attend school in 1994? How much did the ANC-led government spend on infrastructure in a decade? A comparison of the provincial delivery of land reform and agricultural support services by the Institute for Poverty, Land and Agrarian Studies points out that the definition of success in the Western Cape audit is not linked to a national standard or policy, and that there “are no similar studies nationally with which to compare the findings”. Yet the DA goes on to draw a direct comparison in its manifesto between the 62% of selected projects that were found to be successful in the provincial audit and an untested claim reportedly made by ANC veteran Mathews Phosa in 2017, according to which “up to 90%” of land reform projects were unsuccessful. Based on Phosa’s statement, the DA claimed that “the national government’s failure rate of land reform projects is currently standing at 92%”. We asked the department of rural development and land reform for comment on the DA’s claim, but it did not respond by the time of publication. The DA claims that 62% of “all” land reform farms in the Western Cape are successful. However, the audit on which the claim is based did not review all land reform farms in the province. In fact, the provincial government does not know how many land reform farms there are. The 62% only applies to 135 projects and to a period of four years. Furthermore, the definition of success applied in the manifesto is not standardised. Dropout rates: Is South Africa among the worst in the world? Are almost 40% who need jobs unemployed? This package is part of a journalism partnership with Africa Check, the continent’s leading fact-checking organisation. The project aims to ensure that claims made by those in charge of state resources and delivering essential services are factually correct. In the run-up to this year’s national and provincial elections, it will be increasingly important for voters to be able to make informed decisions. This series aims to provide voters with the tools to do that.